We have three new reasons for which you will not be able to stop dancing. First of them is the new icon of the underground scene, Peggy Gou, who will conquer the dance floor of Paraíso 2019 on Saturday June 15. The South Korean DJ and producer who resides in Berlin is characterized by such a personal sound that it’s already been baptized with her own name, Gou, with which she’s conquered the top of the lists for best DJ of 2018. 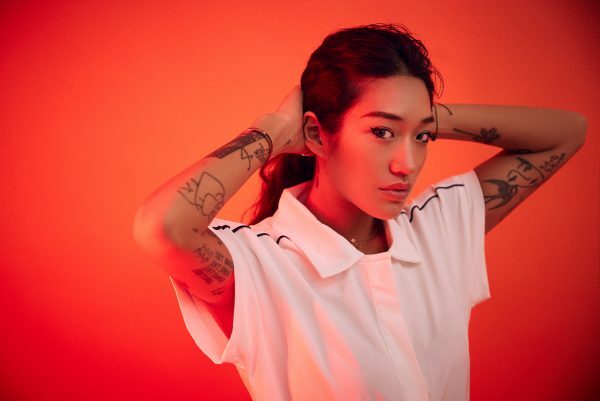 In 2019 Peggy Gou continues garnering good reviews for her first single, “Starry Night,” a track that inaugurates her own label, Gudu, where her next EP Moment will be released. Another artist unleashing passions is young British artist IAMDDB, the artistic name to which Diana De Brito responds, who will first set foot on a stage in Madrid on Friday June 14. Her mix of hip-hop, rnb and soul with her peculiar raspy voice shines on her recently released album Swervvvvv.5. The most urban artist in the line-up arrives in Paraíso to astonish us with this new work, after her recently successful collaboration with Diplo, “Mira Mira”. Israeli DJ and producer Chen Moscovici, also scheduled for Friday 14, closes this trio of confirmations. Moscoman combines the sounds of his homeland with forays into new wave, house, techno or trance, and is a key figure in the blooming club culture in Tel Aviv. Despite having moved his residence to Berlin, his sound remains faithful to Middle Eastern rhythms, and he continues to reveal young talents to the world on his own label, Disco Halal. 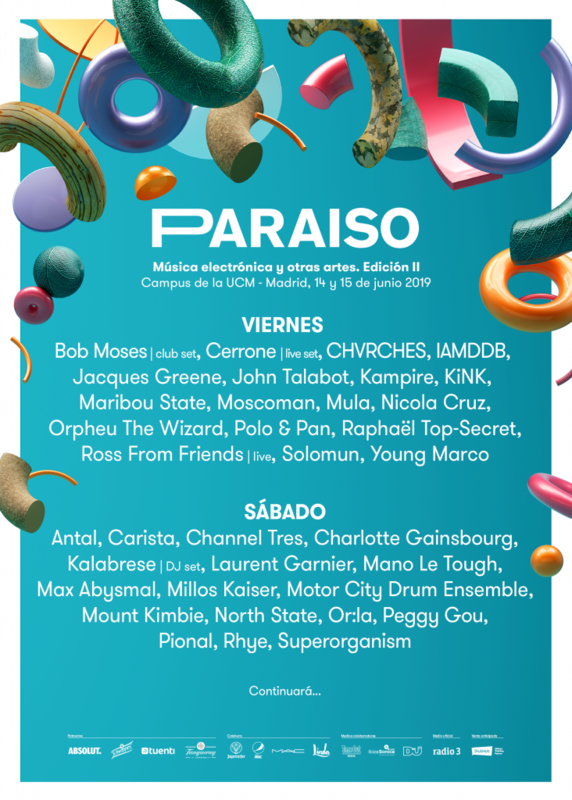 In the coming weeks, we will incorporate 13 artists into its programme, 12 of them performing on the new Nido Stage, dedicated entirely to the effervescent local scene in Madrid. The price of two-day tickets and day tickets will change on Monday April 8 at 23:59 CET. Get yours now! Day tickets cost €49 and €74 in the case of premium tickets. Two-day tickets are available for €85 and two-day premium tickets for €120 and can be purchased in two instalments until May 25. Two-day team tickets at a price of €80 are also available, for groups between 6 and 10 people.